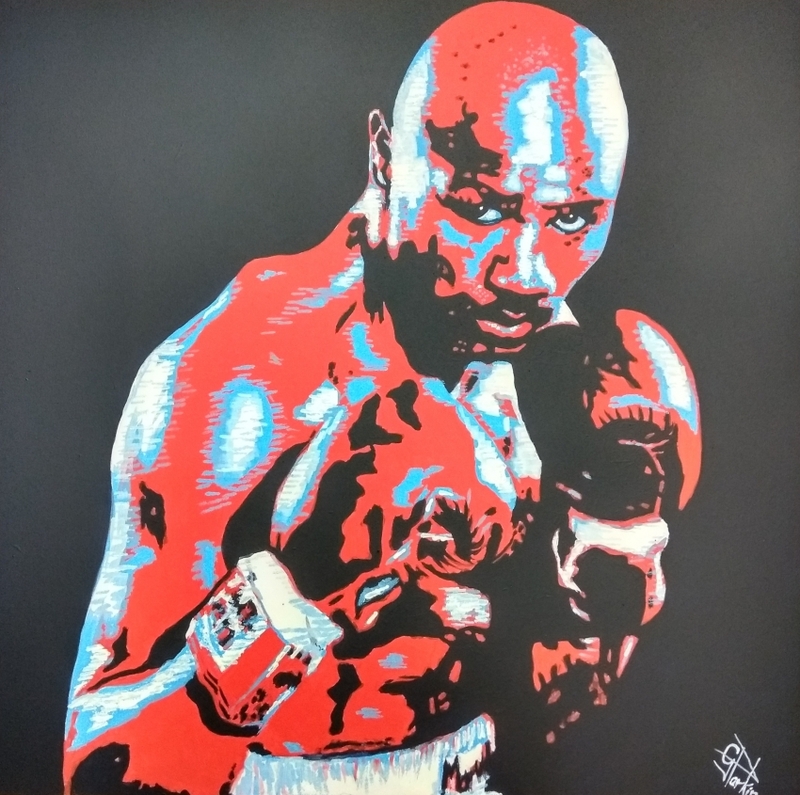 Marvin Hagler in oils 24" x 24". I sold this November last year, but forgot about it. Hagler is now owned by "The Higgins Pantry" restaurant in Bedford England. I loved doing the modern pop art style. It's quite time consuming in oils, as every layer has to be fully dried before applying other layers. I used Winsor and Newton Liquin to speed this up. Loved doing this one...thanks for looking! !